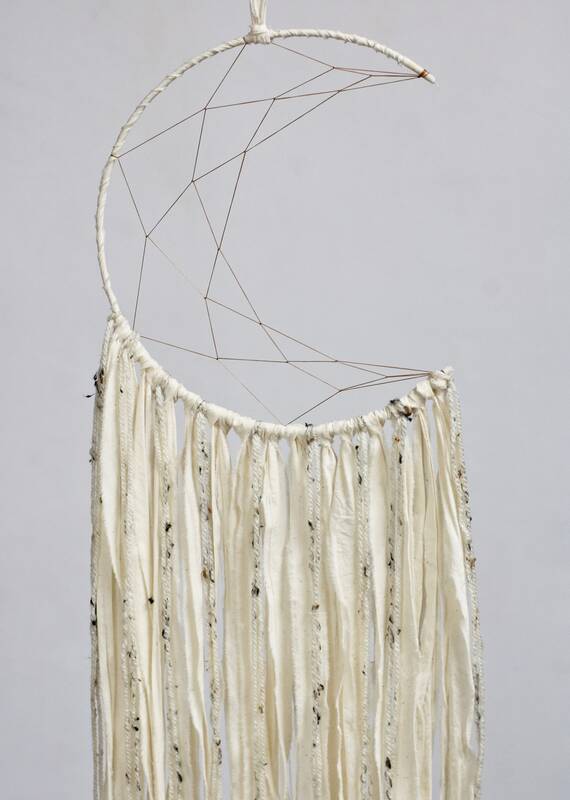 Hand dyed cotton fabric strips swing from a 9" crescent moon shaped web with feather adornments arranged in a "V' shape along the bottom of the fringe. 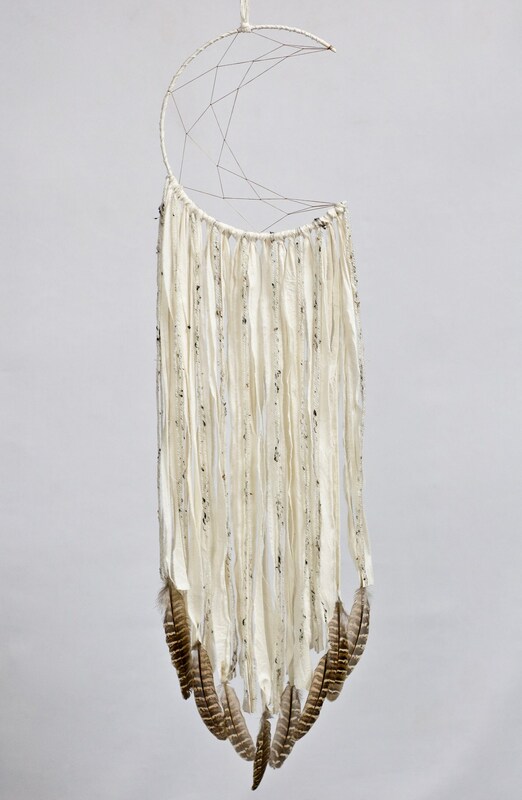 The total length from the top of the hanger to the tips of the feathers is just over 30". This style was one of the first created for my shop, and has stuck around because its so popular! 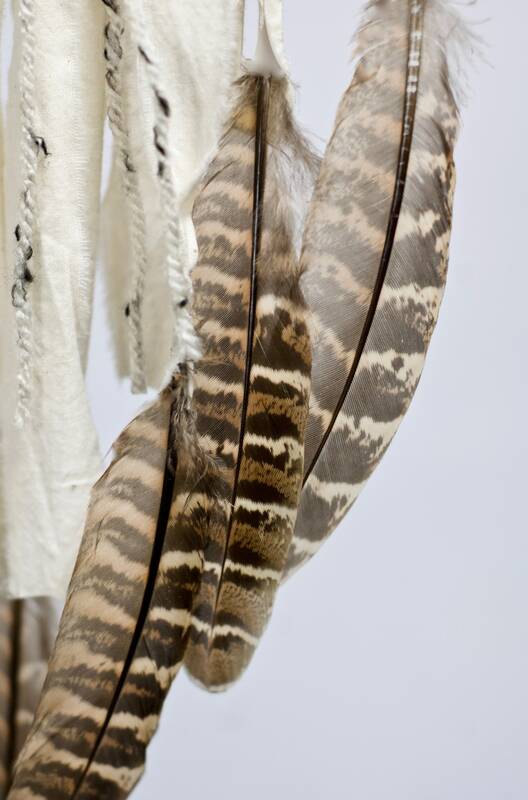 This is a made to order item- natural elements like feathers may vary slightly between pieces, but are guaranteed to be equally as beautiful. 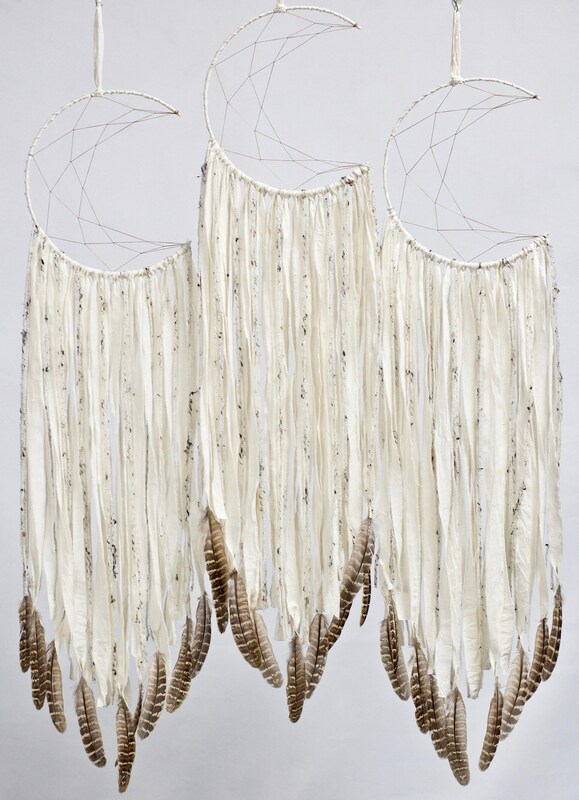 This listing is for one dreamcatcher only- photos of multiple pieces are to show the variety of feathers. always gorgeous. Not my first, not my last! My bestie love it!!!! It was a birthday gift and she is in love with it thank you so much.